Ancestry have provided the results of the stress testing of FTM 2017 with their servers, and they were not what was expected. When simulating scaling to large numbers of users simultaneously syncing their trees, Ancestry saw a degradation in performance that would affect not only the speed of syncing, but the experience for users of Ancestry.com itself and the Ancestry apps. • We are preparing for synchronized testing with an expanded group of beta testers who will try syncing all at once during a particular 1-2 hour period to evaluate the impact with real user trees. We are arranging to have all the testers connected by a central SMS messaging system so that we can have them cancel syncing if problems arise. • Ancestry will be taking a look at their gateway and other services to see if they can scale up capacity in a few areas to handle greater load. The goal will be to have a greater buffer when, as expected, a large number of FTM users will try out the system all at once. • Depending on where we are when ready to launch, we may consider a plan where we do a staggered release to prevent a situation where all users start syncing all at once as they start up FTM 2017 for the first time. We will be reaching out to those getting the new edition to find out who is eager to get started and who'd prefer that others test the system first. • Ancestry will continue to keep all connection services other than syncing on until FTM 2017 is released. That means that Ancestry hints, search, merge, maps and the Web dashboard will continue to work as they do now. We hope that this will allow most of you to continue your research while waiting for syncing to resume. We are looking to conduct the synchronized beta testing tomorrow or Thursday. When that’s complete, and Ancestry has finished whatever short-term engineering adjustments are possible, we will have a much better idea of when we’ll be launching. We believe that ranges from this Friday evening at the earliest to the middle of next week. I’m sorry we can’t provide a better forecast than that. We are oh so grateful to those of you who are waiting patiently (or impatiently) for this release, and especially to those of you who have been supportive of us taking a cautious approach. While all this hand-wringing may turn out to have been unnecessary, we will long remember the support of this community as we did what we believed to be the right thing. 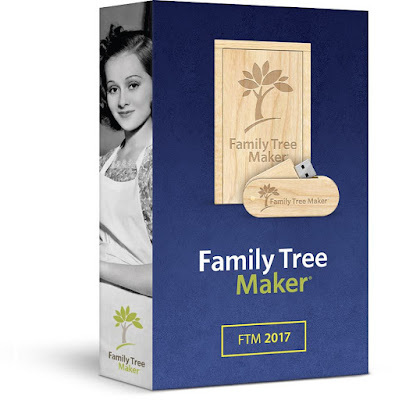 Disclosure: I have a paid FTM 2014 version of Family Tree Maker, and have ordered FTM 2017.
ancestry should have never discontinued family tree maker in the first place, and they should turn sync back on until this is taken care of. I have stopped my genealogy research completely since the old sync system was turned off because I don't know what the features of the new sync system are. I don't want the headache of having to keep a paper record of hundreds of changes I would be making in my large tree while no syncing is available. I hope the wait is not too long. What a shame that the biggest family history show in the UK Who Do You Think You Are Live 2017 is on for the next three days 6/7/8 April and we users are left in this limbo ... hope the FTM and Ancestry teams at the show are prepared along with all the other service providers who may be finding a flood of new customers coming their way! Thanks for the update. Any idea if this will also impact RootsMagic update? If its a system load issue I would think they aren't too keen on lots of RootsMagic users linking their trees, also. I purchased 2014 FTM a few months ago along with the USB drive at additional cost. I got one e:Mail saying I needed to pay $29.95 to pre order and my bank has been charged. I got another e:Mail saying I could verify if I am eligible for a free download of 2017 FTM, I find no phone number to call to ask the charge be removed from my bank since I am eligible for the free download. In the meantime I was not able to sync successfully for the last several weeks. I would think I was syncing to Ancestry and at the end I got a message that said error. Now it says I must have FTM 2017 to sync. This is something that I know they are working on but I am getting off to a bad start. Is there a phone number to call for Billing so I can at least get my charge reversed? I am aware they are working on this and I'm a little frustrated since I am leaving on a long vacation in 3 days and was hoping to have this working. I'd like your opinion on whether I have stumbled on something that could be useful in doing genealogy research. When I began doing genealogy on my family, I had no knowledge of genealogy. After I had been working for one year, I decided to start all over again and relook at everything with the knowledge that I had developed. I ended up deleting about 33% of everything I had added in the first year because it was just wrong or it had no real support. Until the last week, I had not completed this process for my wife's family tree. Doing that process, I deleted about 60 people from my wife's family tree. Now we finally get to the interesting part. I deleted these people from FTM. However, since FTM is not currently linking with Ancestry, these people are still on the Ancestry version of the family tree. A few months ago, my wife decided that she wanted to have a DNA test done through Ancestry. Ancestry's DNA page for my wife shows 400 shared ancestor hits. Through 7th great Grandparents, 158 have a shared DNA link and 56 do not have a shared DNA link. I got the above data from a spreadsheet on my wife's direct ancestry in which I added a column for shared DNA hits. Surprisingly, about 20 of the 60 people I had deleted from my wife's tree have a shared ancestor hit. This leads me to wonder if we should have a separate version of our family tree on Ancestry into which we enter unproven family ancestors. If one of these uproven family ancestors then gets a shared ancestor hit, we could concentrate our research on this person to try to change their status to proven. We are cousins. I've enjoyed your columns for years, and each time that you wrote about one of your ancestors with a surname that I also have in my tree, I would spent a few seconds looking at my tree to see if we have an obvious link. About the tenth time I looked, we did have the obvious link for the Silsbee line of our ancestors. It was a bad decision to shut down the Sync System before a clear launch date was made. In the meantime, both professional & common courtesy dictates turning Sync back on until a launch date becomes clear. For at the moment it obviously is not near. Ive used FTM for 20 years, having a hard time waiting for version 17 because I have so much new data to upload to Ancestry. Ive had to actually travel to a few actual countries to verify stories and locate locations of ancestors. At least give us the ability to upload to Ancestry!!!! I feel that to require us to purchase FTM 2017 to continue to sync is wrong. I purchased FTM 2014 with the full and complete expectation I would be able to sync no matter how long I used 2014. It is not fair to cause someone to have to cut back on their research due to FTM policy or lack of my funds to purchase a FTM 2017 edition. Ancestry.com decided to discontinue supporting and improving Family Tree Maker in late 2015, warning users that it would end at the end of 2016. Software MacKiev, which had developed the Mac version of Family Tree Maker, assumed responsibility for improving and supporting all versions of Family Tree Maker in February 2016, and released Version 2014.1 in late 2016. Ancestry created a new API to allow software providers to sync software databases with Ancestry Member Trees at the start of 2017, and Family Tree Maker has adapted to that API and RootsMagic will also work with it in the near future. Over the years, Ancestry required Family Tree Maker users to purchase each version of the software - FTM 2008, 2009, 2010, 2011, 2012 and 2014 -- in order to continue the sync capability to an Ancestry Member Tree. Software MacKiev has significantly improved Family Tree Maker 2017 over the earlier version, and is offering it for sale at a competitive price. They have continued the policy of charging for a new version that Ancestry had in past years. I believe that if Ancestry had continued ownership of FTM, they would require FTM users to purchase FTM 2017 in order to continue syncing with an AMT. Like others posting here I am concerned all my years of work could be lost since FTM 2014.1 no longer sync's with Ancestry. I'm afraid their many promises and assurances a beginning to ring a bit hollow. My renewal for Ancestry due in July will simply have to wait until FTM 2017 is available and works. I have already "contributed" $29.95 to Mackeiv. I will not invest further until this deception is resolved.